The most amazing thing about your garden is to avail the natural atmosphere and theme in comfortable and relaxed way. 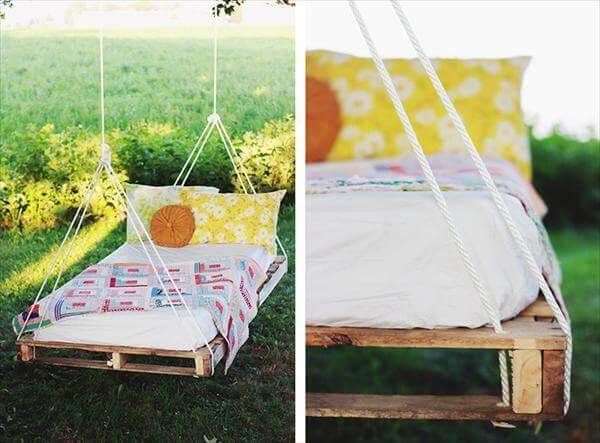 For this healthy pleasure nothing can serve you best in place of pallet bed swing. 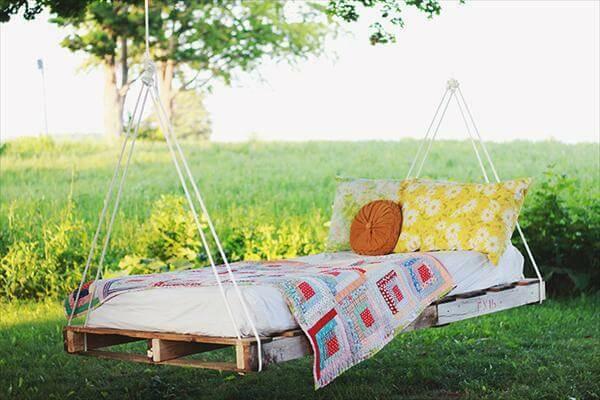 To grab your lovely model of pallet bed swing with your own hand skills you need to have some pallet woods, rope and mattress. Arrange the pallets to have basic bed structure first, and then move on to the next level of binding it with rope to be hanged in garden. The binding should be done precisely for well balanced swinging. You can use screws for joining basic skeleton for your swinging bed model. Then make it modern with desired selection of mattress and color to avail plenty of comforts. Build the basic structure for you bed by cutting pallets in same sizes with saw and join them with screws with one another for best support and powerful skeleton model. 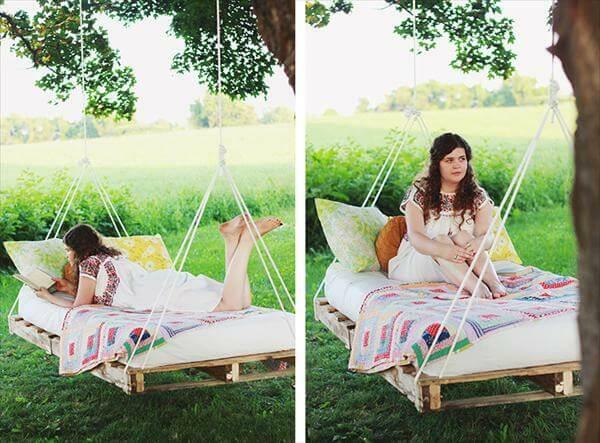 Bind rope to your prepared bed swing model with full precision with regard to balance for hanging and swinging purposes. Place your comfortable mattress on it to enjoy nature in pure and relax mood and its done to give you desired pleasure of entertainment and relaxation.